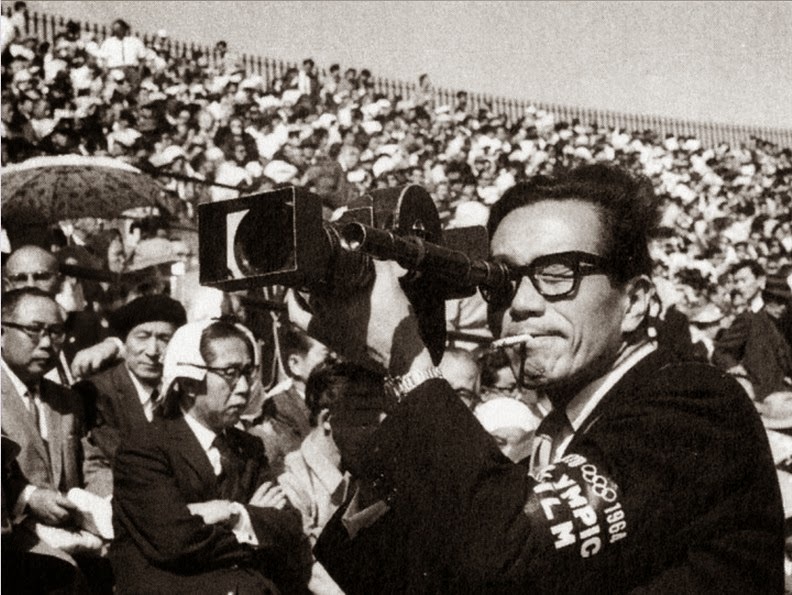 Last month, the Gifu-based Italian film critic Matteo Boscarol put out a call for critics and fans of Japanese documentaries to put together their Best 10 Japanese Documentaries of all time on his new blog Storia(e) del documentario in Giappone ~ percorsi ed esplorazioni nella storia del cinema di non-fiction nipponico. It is always hard to choose just ten films and then arrange them numerically, especially with a country that has such a rich documentary tradition. My least favourite documentaries in Japan are the television variety with their unnecessary voice-over narrations. I have chosen for my list a cross-section of different documentary types in addition to the necessary classics. 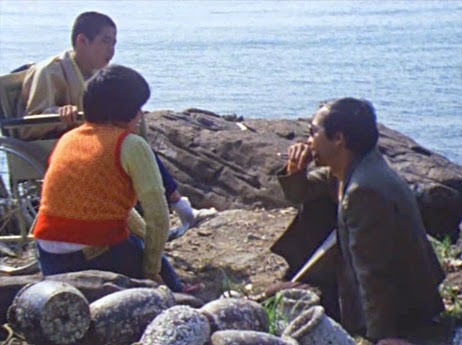 I have a personal connection to this film, because my aunt has a small cameo in it, but that is not why I have chosen in as my number one Japanese documentary of all time. 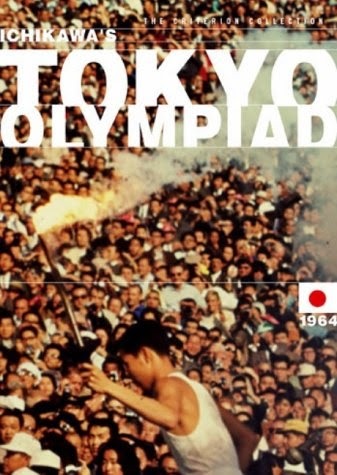 Growing up with a sport teacher for a father I have seen countless sports documentaries in my time, which I suspect was why the experience of watching Tokyo Olympiad for the first time made such as impact on me. The scope of the film is like no other sports documentary, and its focus not just on the great highs but also on the great lows of the event makes the film unique. It is also a brilliant (deliberate) counterpoint to Leni Riefenstahl’s Olympia (1938), which in the 1960s was the best sports film ever made in spite of its problematic subject matter. One of my favourite sequences is the marathon, which I wrote about in World Film Locations: Tokyo (ed. 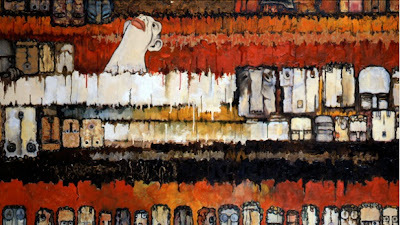 Chris MaGee, 2011). The marathon route followed the historic Kōshū Kaidō (甲州街道), one of the Five Edo Routes (五街道) that connected the outer provinces to the capital in ancient times. This is such a brilliant film in the way that it plays with our expectations as documentary spectators. It begins in a relatively straight-forward way presenting itself as a documentary about the riddle of an ordinary man who disappears without a trace. But instead of presenting a mystery and then solving it, the film begins to cast doubt on the nature of the missing man’s relationships, business ventures, and even the role of the documentary filmmaker himself. The complexity of humanity, and the difficulties in discerning what is real from what is illusion are expertly probed in this film. The first in a series of documentaries Tsuchimoto made about the plight of victims of Minamata disease, this film has become the standard for films about people suffering at the hands of unfeeling corporations / governments. Read my review of this film to learn more. Following on the success of Chris Landreth’s Ryan (2004) and Ari Folman’s Waltz with Bashir (2008), the animated documentary genre has grown in stature in recent years. In the 1970s, it was a genre rarely used. The Kinoshitas’ powerful depiction of the day an atomic bomb was dropped on Hiroshima uses cutout animation to depict the horrors of that day. Based on the testimony and drawings of survivors, the film drives home the message that we should never forget and never allow this atrocity to happen again. Read my review to learn more. 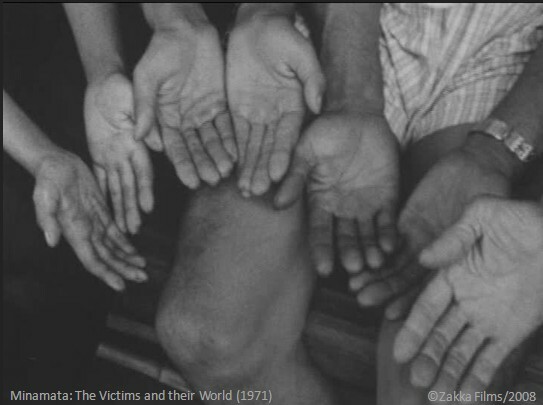 Emotionally for me, this is the most powerful of Tsuchimoto’s documentaries about the Minamata disaster. Fishermen continue to fish the poisoned waters, discarding their catch because it is inedible, because fishing is all that they know. It explores just how deeply the mercury poisoning has affected the community in Minamata, particularly the children – innocent victims who have been neurologically scarred for life. See trailer for the Zakka Films release. 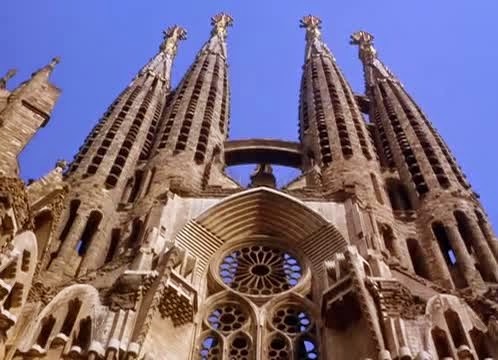 With very little spoken word, this mesmerising film takes us on a cinematic journey through the fantastic career of Catalan architect Gaudi (1852-1926). Alongside films like Chris Marker’s Sans Soleil (1983) and Dziga Vertov’s Man with a Movie Camera (1929), it ranks among the most poetic documentary films of all time for me. As I wrote in my review of this film in 2011, this is the most is the most beautiful documentary I have ever seen about child birth. It is also the most informative for the way in which it records the varied experiences, hopes, and fears of the women. Although the birthing methods might not appeal to all women, I would encourage pregnant women to watch the film for an alternative perspective on pregnancy and child birth. I really couldn’t decide which of Hitomi Kamanaka’s films to rank as "the best" as they complement each other so well and the issues they raise concerning radiation and the use of nuclear power in Japan are even more important in the wake of the Fukushima disaster than they were when Kamanaka started out on her cinematic journey. Read my reviews of Rokkasho Rhapsody and Ashes to Honey to learn more. Her films can be ordered from Zakka Films. This documentary is not everyone’s cup of tea with everyone from hard-core Kurosawa fans to even Vincent Canby of the New York Times blasting it for a variety of reasons (read my review of the film to learn more). Often packaged as a DVD extra, the film is often mistakenly viewed as a bad “Making of” Ran (乱, 1985) documentary, but that is not what it is at all. Marker has created a carefully crafted homage not just to Kurosawa himself but to the team who worked closely with him. 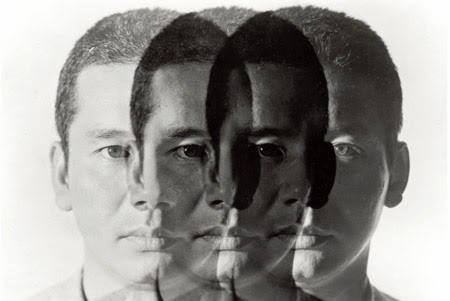 An amazing film about the psychological impact of war and occupation on the Japanese psyche, as told through the art, photography, and films of the post-war period. Read my full review here.